A newcomer to the Syrian Express Deployments: Korolev. Photo: Yörük Işık. Used with permission. 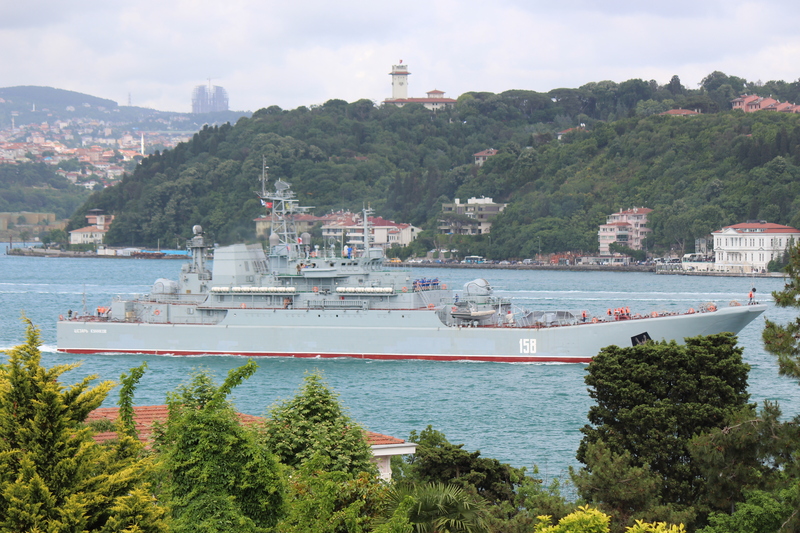 Novocharkassk making her southbound passage through Istanbul Strait. Photo: Yörük Işık. Used with permission. Long time no see: Tsezar Kunikov making her debut after a long overhaul. Photo: Yörük Işık. Used with permission. Today the Russian Ropuchas were active. One of the Baltic Fleet’s ships 130 Konolev made her northbound passage. It’s the first time she was deployed in this region and first time she will take part in cargo hauling to Syria. Another ship that we have not seen for a long time was the south bound 158 Tsezar Kunikov. This Black Sea Fleet ship was in Bulgaria for an overhaul. Her companion was Novocharkassk. 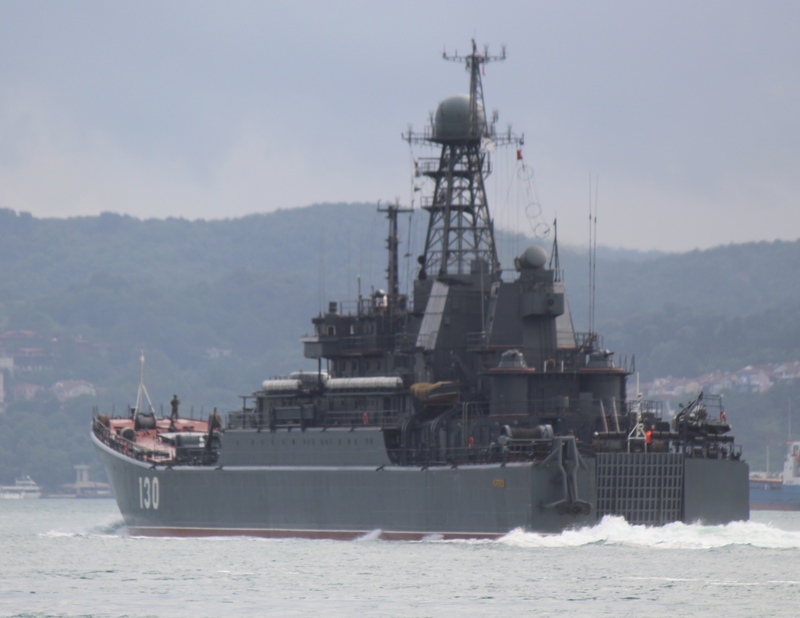 I have archived the list of the Russian warship movements in 2013 and the list of foreign warship movements in 2014.